With the commencement of early-out-the-door mornings, fall sports and school lunches, the ins and outs of the school year routine often make our kids’ teeth more susceptible to damage and decay. At Eggert Family Dentistry, we know that dental vigilance is the biggest precaution against these dangers. 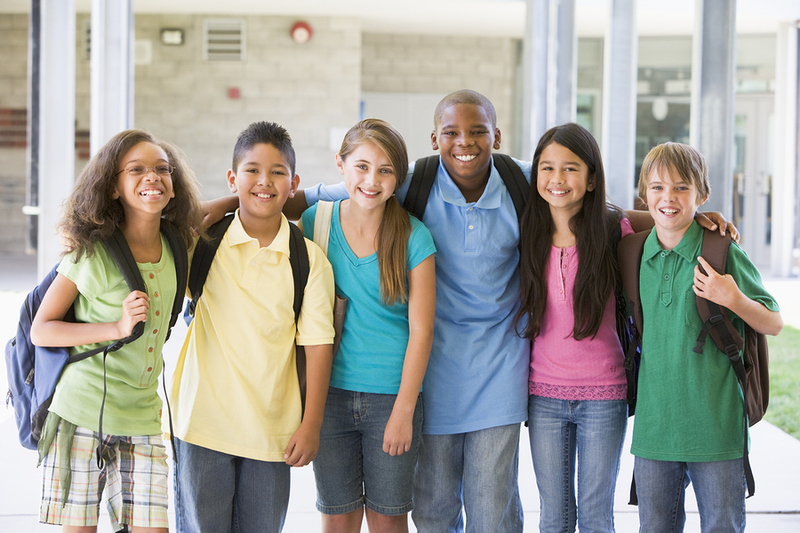 Here are some pointers to help your kids protect those sweet smiles all school year long. Teach your kids about the damage that highly-processed foods and sugary foods and beverages can wreak on their teeth. Encourage them to make healthy food choices during school lunch by eating moderate servings of fruits and veggies and passing up juice in favor of water or milk (white milk being highly preferred over chocolate, strawberry, or banana flavors). Water is the optimal beverage choice when it comes to dental health. City water contains fluoride which helps strengthen enamel and protect teeth against decay. Send your kids to school with a large water bottle each day and encourage them to refill it as needed. Between sticks and balls, tackling and checking, fall and winter sports can make teeth more susceptible to damage. At Eggert Family Dentistry, we can help your child be fitted for a custom-fit mouthguard to protect those pearly whites. In addition to a mouthguard, encourage your kids to always wear a helmet for sports that warrant them – practices included! Helmets are also a great layer of protection for your child’s mouth as well as his or her head and face. Brushing twice a day might not seem like a big deal in the summer months but when those early school mornings roll around and everyone is feeling pressed for time, morning brushing often goes by the wayside. Encouraging your kids to brush before breakfast is better than nothing, and can be an easy way to ensure pH levels don’t drop to unsafe acidic levels, making teeth more vulnerable to cavities. This might go without saying, but regular recare visits are the best prevention against tooth damage and decay. Be sure that the school year doesn’t get the best of you by making your family’s recare appointments 6 months in advance. Call us today at 651-482-8412 and we can help you set up your next recare visit. From all of us at Eggert Family Dentistry, we wish you and your families an easy transition into the school year routine and time to enjoy all the wonder and beauty fall brings. We hope to see you soon!